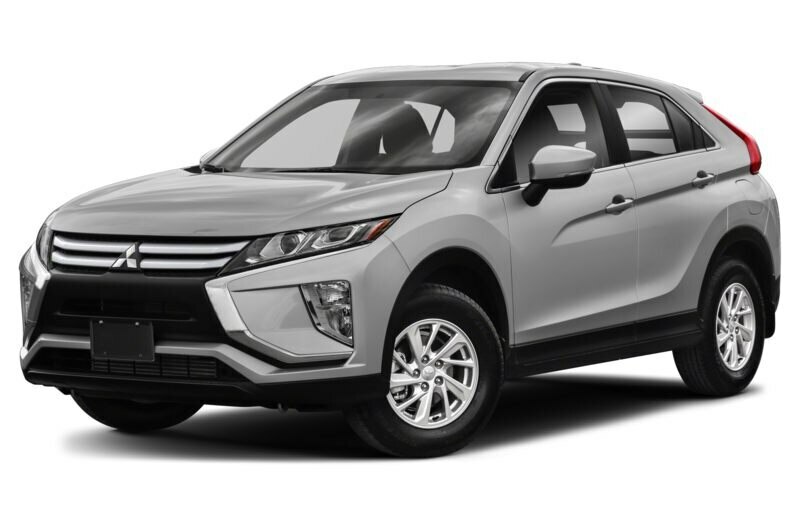 The 2019 Mitsubishi Eclipse Cross is a 4-door, 5-seat Sport Utility, available in 6 trims, ranging from the FWD to the 1.5 SEL. Upon introduction, the $23,595 FWD is equipped with a standard 1.5L, 4-cylinder, engine that achieves 26-mpg in the city and 29-mpg on the highway. an Automatic transmission is standard. The $28,195 1.5 SEL is equipped with a standard 1.5L, 4-cylinder, engine that achieves 25-mpg in the city and 26-mpg on the highway. an Automatic transmission is standard. It’s clear from the new Mitsubishi pictures that the brand is on the comeback trail in this country, driven by a pair of safety pioneers and one of the most fuel-efficient—but least-expensive—cars in America. Now, it’s true that the automaker has a long way to go to recapture its glory years in the United States. If you could return to 2002, for example, the gallery of new Mitsubishi pictures would present a lineup that had earned more than 345,000 sales in this country; but Mitsu deliveries have been well below the six-figure mark since 2008. So, it’s in an effort to turn its fortunes around that Mitsubishi recently introduced two of the first vehicles in the “Small SUV” segment to earn a Top Safety Pick+ designation from the Insurance Institute for Highway Safety. Both the Mitsubishi Outlander and Mitsubishi Outlander Sport captured that prize during the first round of testing for the segment, and that’s something rivals like the Ford Escape, Honda CR-V, Toyota RAV4 and Hyundai Tucson were unable to accomplish. Those two entries have jumpstarted Mitsubishi sales in recent months, with the company looking for that same kind of momentum from the brand-new Mitsubishi Mirage. When it launches, the Mirage is expected to deliver the highest EPA ratings of any non-hybrid, gasoline-only car in America—up to 37 mpg city/44 mpg highway/40 mpg combined—while launching with an MSRP south of $13,000. It’s also worth noting that many of the cars and crossovers in our new Mitsubishi pictures were manufactured in the United States, at the automaker’s production facility in Normal, Ill.